Bippity Boppity Boo. 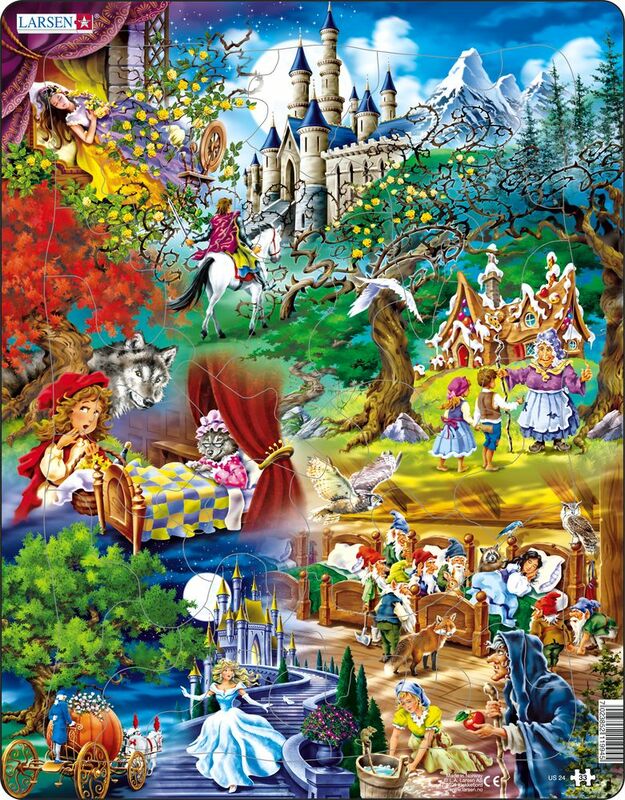 Can you name all of the fairy tales shown in this jigsaw puzzle? Your child will love sharing in the fantasy experience and will be surprised to discover hidden treasures of puzzle pieces shaped like a dove; dog; squirrel; and more! Fairy tales depicted include Sleeping Beauty; Little Red Riding Hood; Hansel and Gretel; Cinderella and Snow White.